For something a bit different to traditional confetti how about this disc-style confetti, part of the "Just My Type" wedding collection? 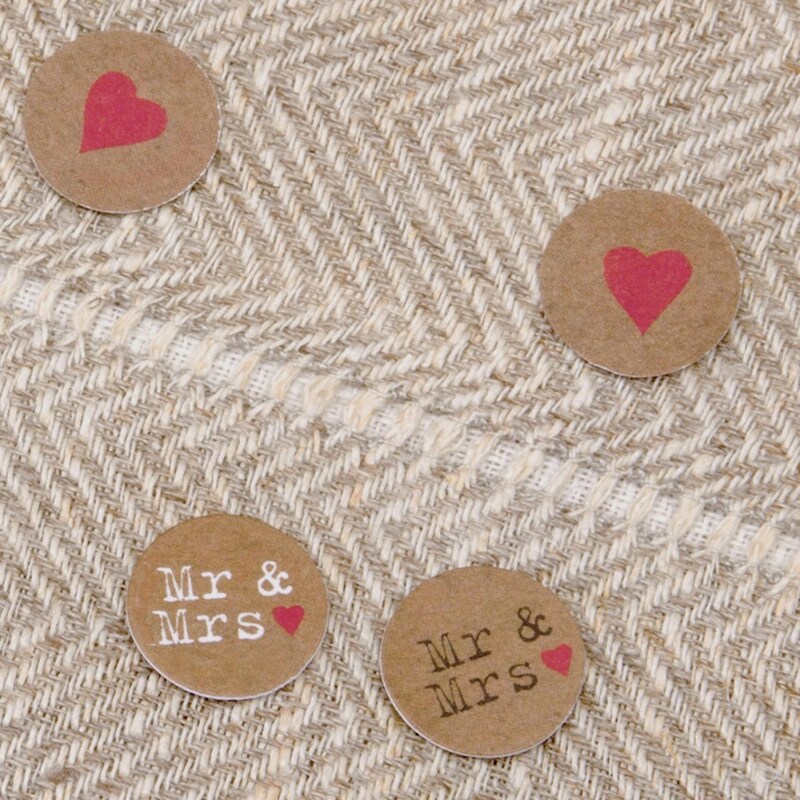 Each pack contains small discs of brown card, embossed with red love hearts and text reading "Mr and Mrs". 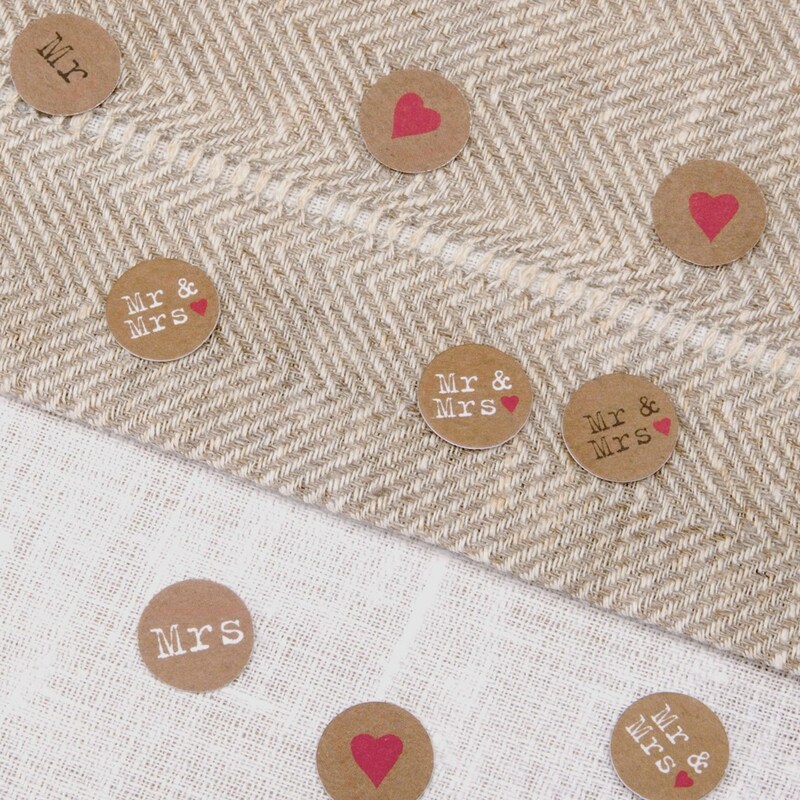 A lovely combination of the chic and the fun, this confetti offers an easy way to dress your wedding tables - simply scatter around place settings to add an extra element of interest. Each bag contains 14g confetti. Can be co-ordinated with other pieces from the "Just My Type" range.